We live together since 2000. Our first common dog was our Lady. She joined us in summer 2002. We saved her out of a terrible family. 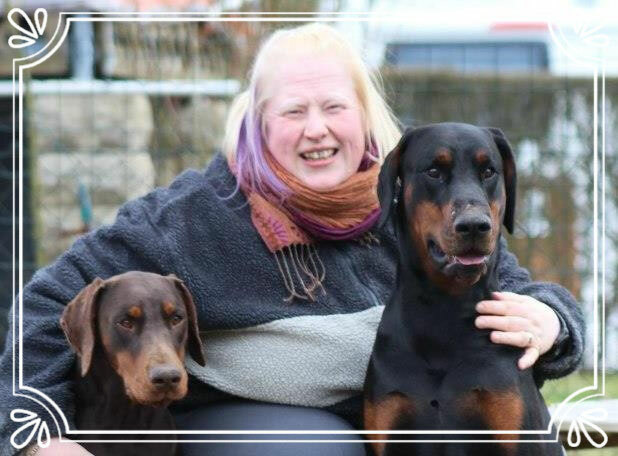 That's how we met the dobermann breed. In December 2002 our Ty (Ty' Son of Volvo de la Villa de Channes) was born and in 2003 we decided to start exhibitions and IPO. 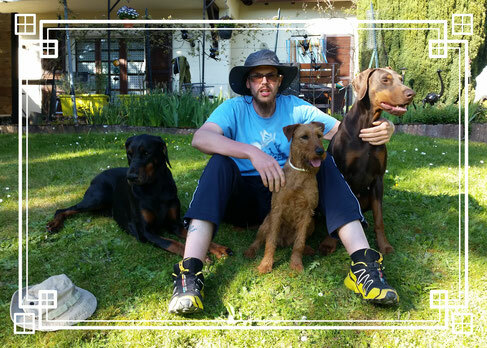 Our Dobermanns gave us a lot of joy and we knew that they will be our breed, our futur. After a long illness, Ty died in Novembe 2009. In May 2010 little Figlio (Figlio fedele di Arone de la Villa Valiano) joined our family. And Lay lost the battle against DCM in February 2011. Greta (Greta-Marléne Dandias de la Villa Valiano) came in June 2011 and we startet our breeding project. She was foreseen to be the mother of our first puppies. But in summer 2012, Dr. Wess from the university of Munich, found the first signs for a possible DCM on Figlio. Our world crumbled. It was the beginning of a hard and painful fight. For us and for Figlio. After a long reflection time, we took the hard decision to discontinue with the Dobermann breed. The main reason is that more than 60% of the dogs are attended by DCM. So we thought to start by zero with a new breed. In 2003 we met Noreen (O'Nut Glen Red Noreen). A young and dynamic little Irish Terrier girl. We really appreciated her and remembered her. That was the beginning of the idea to start with Irish Terrier breed. Mae is a great dog with a very good character. She is full of life and helps us living with this hard disease of Figlio. She already won the German, Luxemburgish and Belgium Youth Championship. Now we are challenging the adult champion titles. We hope to have our first litter soon. All news here on our page.